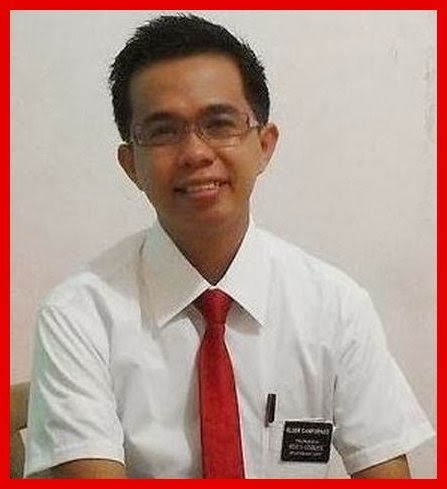 Completed his 2-year missionary work, our youngest son, Elder Gilbor D. Camporazo prepared himself to go home after serving in the Butuan Philippines Mission of The Church of Jesus Christ of Latter-day Saints (LDS) of all trials, challenges while doing the proselyting, Gospel teaching and baptizing converts. “Welcome back Tito,” quips Toto Bryan, one of Elder Camporazo’s favorite nephews, when I asked him if what is his reaction when his uncle Toto Jun comes home. “Your son is about to leave the mission and (will) join you in a happy reunion,” wrote Butuan Philippines Mission President Mernard P. Donato to us as Elder Camporazo’s parents. “You can be proud of the service he has rendered as a missionary,” concluded President Donato's letter sent to us through a postpaid mail. 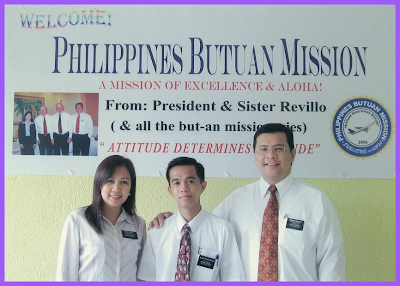 In October 24, 2008 Philippines Bacolod Mission President Dany Daquioag set apart Elder Camporazo to serve at Philippines Butuan Mission for 2 years. After undergoing training at Missionary Training Center (MTC) in Manila, Elder Camporazo proceeded to Butuan City Mission. There he has served in the Stake and Districts of Mati, Places, Butuan, Surigao and Monkayo respectively. He has also served in the wards and branches of Banay-Banay, Bacuag, Butuan 3rd , Butuan 2nd, Washington and Nabunturan. Aside from missionary work, he has also served in a various leadership position like a membership recorder and later as a financial secretary in the mission office. Former Butuan Mission President Charlie G. Revillo and his wife, Sister Pierne counted him to be a strength and example to those whom he has labored. They were grateful and confident in assigning him as District Leader of the Butuan District. President Revillo and us, Elder Camporazo’s family did our best to make him a great missionary of the Lord by uniting in helping him become a committed and dedicated missionary of the Lord through letters and emails and with our prayers to support him spiritually. The 2 years spent by Elder Camporazo in the field as a missionary of the Lord were considered as the best years in his life. He has not failed the expectation of President Arlen G. Malacaman of La Carlota District before he left for a mission as“… a blessings to the lives of many people.” Elder Camporazo finishing his full-time missionary work came home with honor. His attitude determines an attitude that Philippines Butuan Mission is a mission of excellence and Aloha! Elder Camporazo informed us of his plans before going home. These plans may include the following: to work at the call center as a call agent, software or finance man, to avail of the Perpetual Education Fund ((PEF) for his continuing education, to have a laptop or notebook for his work or schooling, to procure his pertinent papers from the school and NSO, and a cell phone. Bacolod Mission President George Tobias released Elder Camporazo as full-time missionary upon the latter’s arrival at the Mission Office in Galo Street, Bacolod City on October 28. Before his release, he was fetched by us at the Silay Airport and was brought to Bacolod Mission Home where he took his supper together with his family. Now Gilbor D. Camporazo, Jr. is married to Ms. Ma. Carissa P. Trenuela, an LDS member in La Castellana in Cebu Philippines Temple. He has finished his technical course in programming and is working at Technical Foundation Institute (TFI), Bago City as programming instructor. His present calling in the Church is District Clerk of La Carlota Philippines District under the Presidency of President Mario A. Malacaman, President Zandiv Abonado as First Counselor and President Rino Ilanga as Second Counselor. An honor for him...congratz for the completion of your two-year mission. I have great respect for people who render their life and service as missionaries for it is not an easy job. XOXO Elder! Congrats to your son. He's really an achiever. You must have trained him well. A home dedicated to God is a home showered with God's love. Happy for you and the rest of the family. Wow! Congratulations to you and your son sir. This just proves that you're a great dad and you guided him well in his life. Congratulations! This kind of achievement is very fulfilling. Congratulations to your son, Sir Gil. i'm sure you are very proud of him.